I've been meaning to write this post for a few weeks now and am finally getting the time and courage to write it. The biggest reason why I am hesitant to write this is because part of me is still embarrassed. I actually don't mind having strangers read this, but I am embarrassed to have my friends and family read it. I have been struggling with postpartum depression. If I had diabetes or an autoimmune disease, would I feel embarrassed to share my struggles or be ashamed that I had to seek help or use medication to treat it? Probably not. I'm not a very private person (obviously) but many people look at depression as laziness and self-centered so I feel scared to admit that I am struggling with something that has those connotations. This is not the first time I've struggled with postpartum depression, but this bout was significantly worse than the last time and I was unable to get through it the same way I did before. 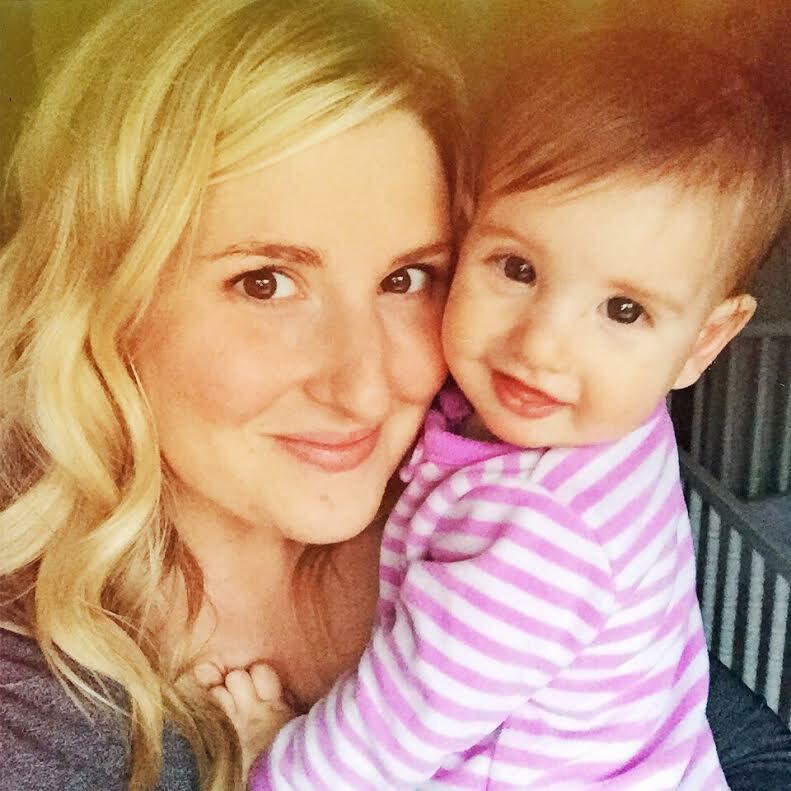 Let me tell you a few things about postpartum depression, from my perspective. I don't have a history of depression so I can't tell you if these things are relevant to other types of depression. Also, this is my experience so it may not apply to others' experiences with PPD. - REAL: With depression, you can't "fake it til you make it". Depression is not something you can "snap out of" or cure through service and positive thinking. For most of my life, that's what I believed. Oh sure, I'd experienced times of sadness and difficulty in my life, just like everyone else. I'd even had the "baby blues" after every baby during those first six weeks. This is different and it's very real. I absolutely believe in the power of positive thinking, but depression is an illness that can't be wished away by choosing to be happy. - GUILT RIDDEN: I can't tell you how many times I've laid in bed, thinking, "My mom had eleven children and was always able to get out of bed in the morning with a smile on her face. Why can't I do that? I only have three kids! I'm a horrible mother/wife/person." Every thing I did produced a deep sense of guilt and I particularly felt the guilt in my life spiral out of control. I was constantly beating myself up about every little thing and the bruises kept getting deeper and deeper. - SCARY: I was scared to be alone with my kids. Not because I thought I would hurt them (though some mothers dealing with PPD do feel this way) but because I knew that when I was the sole caretaker of my kids, it was up to me to do everything. The task of getting out of bed felt incredibly grueling so the thought of doing all of my normal tasks throughout the day while taking care of three small children on my own, was paralyzing. It was scary feeling this way and I knew that my children deserved better. - LONELY: Admitting that you have depression is really humiliating. Especially when you have spent most of your life believing that depression is a weakness that can be cured by "getting over it" (you know what they say about karma...). It was really difficult trying to explain to David what was going on with me. David was sweet and supportive but he doesn't really understand what is going on. It's pretty lonely feeling like you're going crazy and you feel embarrassed to tell anyone. Finally talking to my friends, my doctor and to David about it really helped. I also asked David for help (he already helps out a lot!) and because he is wonderful and amazing, he jumped right into the roles that I was having a hard time filling. That took away so much of the burden of loneliness. - OBVIOUS: Someone who is depressed may not seem depressed. Please don't say to a person who is struggling with depression, "But you don't seem depressed!" Maybe you are trying to be supportive or positive by saying this. Like a sort of award for "hiding your pain well". For me, this kind of statement is dismissive of what was going on inside - maybe, like I was just making it up. Yeah, I was able to hide it well outwardly - until I couldn't anymore. - GENERATIONAL: I've heard accusations that "moms today can't hack what we did when we were raising our kids!". This kind of statement is not fair. Look, motherhood is hard. I don't care who you are or when you were/are raising your kids. I have some theories about why motherhood is different for my generation. First of all, social media. I love social media. It is such a great way to share creativity, memories, recipes, funny videos and more. But it can sometimes feel overwhelming to see all the beautiful, great, amazing things that people are producing when you're struggling to wash your hair. Some of the best advice I got when I was in my darkest place, was from my sister, Heidi. She suggested that I take some time off from anything like that. No Instagram, no Facebook, no articles, no blogs. That's a hard thing to do when you are nursing a baby a LOT and tend to scroll through your phone during nursing sessions but it helped a lot to clear some of that from my life for a few days. The other thing that we deal with as moms today is all the pressure to "do more". Everyone is involved in everyone else's life when it comes to parenting. You have everyone policing your every move when you're a parent - pediatricians, people at the park, grocery store and post office, family members, neighbors. Then, there are countless newspaper articles, books, magazines, bulletins about what you should and shouldn't be doing to be a "good mother". Let that stuff go. As a major people pleaser, I certainly haven't mastered that, but I'm working on it. - NORMAL: By "normal", I mean that I knew that something was not right because I was not myself. I love being a mom, I love my children and I love my wonderful husband but I was struggling to see what a good life I have. I knew that something was wrong when my sweet baby would look at me and smile and I didn't feel anything. I knew that this was serious when I woke up in the morning and was disappointed to be alive. These feelings are not normal. It was time for me to seek help. - FOREVER: During the worst of my depression, I felt trapped. I felt like I was never going to get better. That this was my new "normal". It was awful. I felt like my kids and David would be better off without me. I knew that this wasn't true logically but I still thought it. I had to force myself to make a doctor's appointment because I knew that I couldn't keep living this way. When my doctor and I figured out a plan to help with the depression, I just started sobbing. Knowing that there was a light at the end of the tunnel was such a relief. I hope that anyone reading this and feeling these things, can recognize that you can and should seek help. Don't let things spiral out of control! Take care of yourself so you can be your best. I want to end this by saying that I am feeling much better and much more myself now, but that doesn't mean that my problems all went away. After getting the help I needed, I am able to cope with normal life again. Nope, my kids aren't miraculously little angels now (in fact, I'm having to deal with "detoxing" them from all the TV they watched when I could hardly function). Our house is still a renovation mess and I still have a baby who doesn't sleep through the night, but getting help and taking medication, has made a world of difference for me. I am so grateful to have the resources like that to help me get through this time. If you have been struggling with similar feelings, I hope that this post has helped you will decide to make a plan to get help - whatever that entails. And if you love someone who is struggling with PPD, I hope that this post has helped shed some light on what your wife/sister/daughter/friend/etc. may be feeling. Thank you for writing this! I'm not a mother, and probably won't be for a while, but I've known people who suffer with this, and you too are in my prayers. :) Bless! Thank you for sharing this. One of the most valuable things I learned while dealing with PPD myself was how many people were struggling silently and afraid to get the help they needed because they were worried about what others would think. Being open about this is so, so, so important! Thank you for having the courage to share your story. Bless you! So brave and kind of you to share! ((Hugs)) Depression is very real and very hard. Sending much love your way. We don't know eath other, but I came across this post by accident, and I'm so glad I did. I feel like all the feelings you wrote could have come straight from my mouth. I've been struggling with depression since the birth of my first child, almost 6 years ago. I didn't have the courage to face it or get help until this January. Everything you said is exactly on point. Thanks for having the courage to speak about it. I completely understand your reasons for being nervous, because I share the same thoughts, but please know that your words today helped me, if nobody else. I got help for my PPD and severe anxiety back in December when my son was 9 weeks old. I had a lot of the same thoughts and feelings as you. I don't know how many times I was told to "think positive" when my anxiety was making me unable to function. I'm so thankful for a supportive midwife and meds. I'm so so much better. Thank you for sharing. I had PPD after my first, but haven't had it this time. Wow. Everything you said is on point. It was especially hard as a first time mother to see "everyone else" functioning so well & I couldn't shower or get dressed. I think I was more susceptible because of my personality & my experience (surprise c-section, NICU baby with ambulance transfer, my mom who was supposed to cuddle my baby had to leave before he even came out of the nicu), but I also think that it's important to remember that prior generations had (generally) more community support. Multi-generational households, living in the same community with parents, cousins, etc. Now we are more isolated than ever. This time around I slept more, pumped milk less. My MIL came for 3 weeks. My husband took 6 weeks off. I hired someone to watch my older son twice a week. We prioritized with time & money and while I think the hormones were better this time, I also think that the support in place helped. Love you, Liz. So glad it's getting better. So glad you wrote this to help others. I don't relate to any of this in the sense that I don't have kids. Today has been an emotional day for me. For the first time in a long time I received hope for some of the health problems I've been struggling with. All afternoon I've been pondering the concept of hope and how I wish past choices and outlooks would have been different before hope was present. Anyway, it really meant a lot to me that you added the word hope. It was just what I needed to hear even though our situations are different. It's so easy to judge yourself, and soooo easy to let go of it all when hope is visible. Thanks for sharing. :) Glad you are getting back to a good place! You are an inspiration to me. Whenever a post from you appears in my reader, I immediately click on it. I'm always excited to see what new recipe, home update, or, like today, deep and honest personal story you have to share with your readers. While you discuss PPD, most of it also relates to depression. I was diagnosed with depression and anxiety when my youngest was 18 months. And I remember feeling all of the things you talk about. The one thing that was really hard for me was that I couldn't feel the spirit. I later read a book written by an LDS therapist that talked about how normal that is. We are constantly being taught that we shouldn't rely on others for our testimony, but when you are deep in depression, you should not feel guilty for relying on others for your spiritual strength. The discussions, prayers, and counsel with my husband not only strengthened me, it has strengthened our relationship with an unbreakable bond that only comes through trial. Thank you for your insight. You are an amazing mother and woman. Don't ever forget that. Thanks for writing. I'm with you on all fronts! I stopped blogging 3 yrs ago because my most regular followers were my family and somehow that made it harder to write what I wanted and easy to just post kid pics. It came another "to do" rather then being enjoyable. I have also dealt with ppd (although it did not fully hit until she was 8 months). Somehow I didn't realize how bad it was until I was coming out of it. It's hars to understand it unless you have been there, and hard to even want to help yourself when you are in that state of mind. I was able to read my way out- basically do cognitive therapy on myself. Would love to chat about it all sometime. Hang in there, you are in good company! I have struggled with depression in my life, as well as others in my family! It is very real, and very hard! I'm so glad you got help, and are doing better! It's a hard thing to admit to people. Love and hugs to you cousin! I love reading your blog and getting the updates on your little family. We miss you guys and I'm so sorry to hear you've been suffering from this horrible disease. I'm thankful that you've sought help and will think of you in my prayers. Love you, and take care of yourself. Thank you for this open and honest post! I do have my demons and reading this really helped me. You are so BRAVE for sharing your struggles. Everyone will be able to relate to this post in some way. Be kind to your self. Lots of love. Your posts have been a ray of sunshine in my world and I'm so sorry you have been going through this miserable experience. Please be as kind and patient to yourself as you would be to a dear friend. And know that this will pass and the sun will come out again. I'm holding you in my prayers. Liz, so sorry to learn of your huge struggles. Grateful you are finding solutions and feeling better. Hope that continues and that you can feel joy in your life again. Much love to you and prayers! You are brave and strong. I suffer from GAD, and you described perfectly what it is like to suffer from any sort of mental illness. And just like a diabetic need their insulin, my anti anxiety meds are my insulin. No shame, k. Dealing with something is more normal then not dealing. In life we all will deal with something. Just in case this is helpful, I think the book someone referred to earlier is called "Reaching for Hope" and is published by Deseret Book. My mom wrote it and it does indeed talk a lot about being chemically unable to feel the Spirit when depressed. You are great, Liz!! And this post is great!